The solution can control a single space – up to an entire floor – with one or more Energi Savr Node modules. 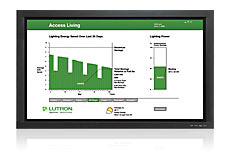 In addition, modules can be linked to the Lutron Quantum system for total light management, entire building control, and maximum energy efficiency. 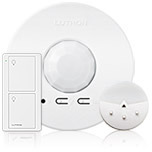 The Energi Savr Node solution offers the QS sensor module which provides wireless communication with wireless sensors and controls via Lutron reliable Clear Connect Radio Frequency (RF) technology. Wireless occupancy/vacancy sensors, daylight sensors, and Pico wireless controls allow for easy retrofit with no need for rewiring. Personal controls allow occupants to manually adjust their own light levels to meet personal preferences. This helps to create just the right light in a space, so occupants are more comfortable—and that translates into greater productivity.